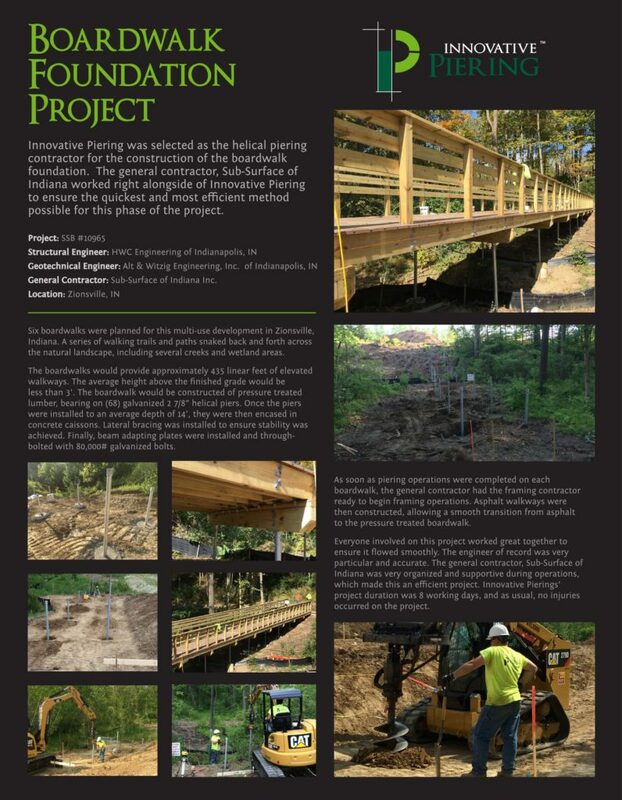 Innovative Piering, LLC was contracted to design and build a shoring solution. 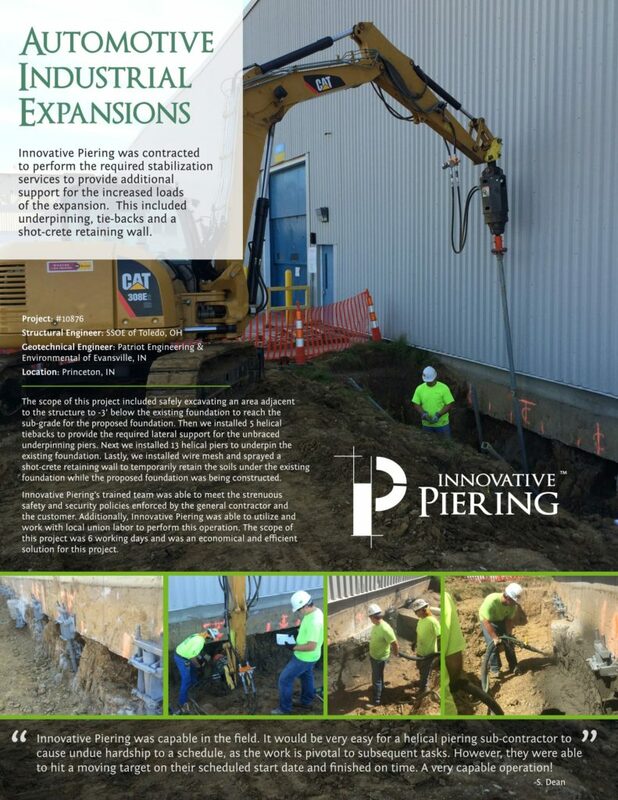 Innovative Piering was contracted to furnish and install 68 micopiles to support foundation grade beams along the southern perimeter. 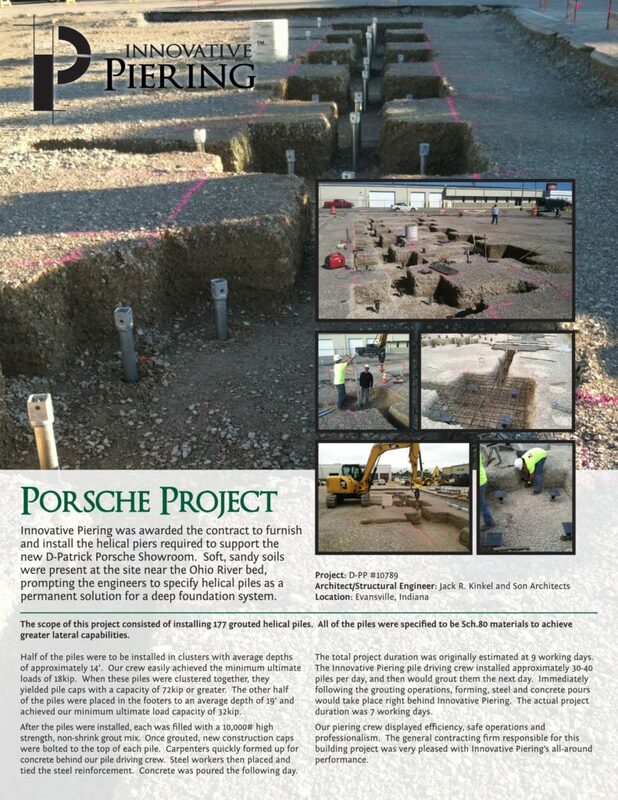 on shore from W16 X 79# beams. 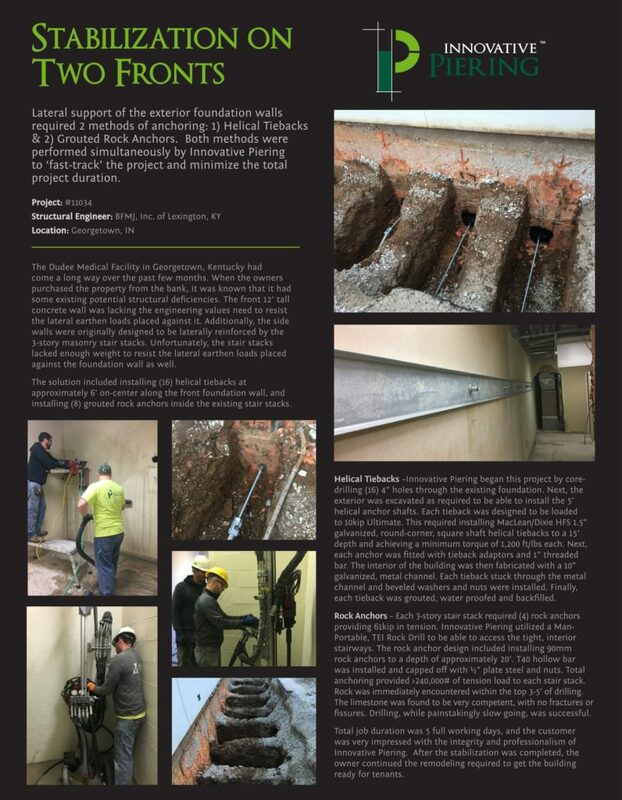 "Previous repairs to the existing foundation failed to stabilize this steel reinforcement deficient foundation." 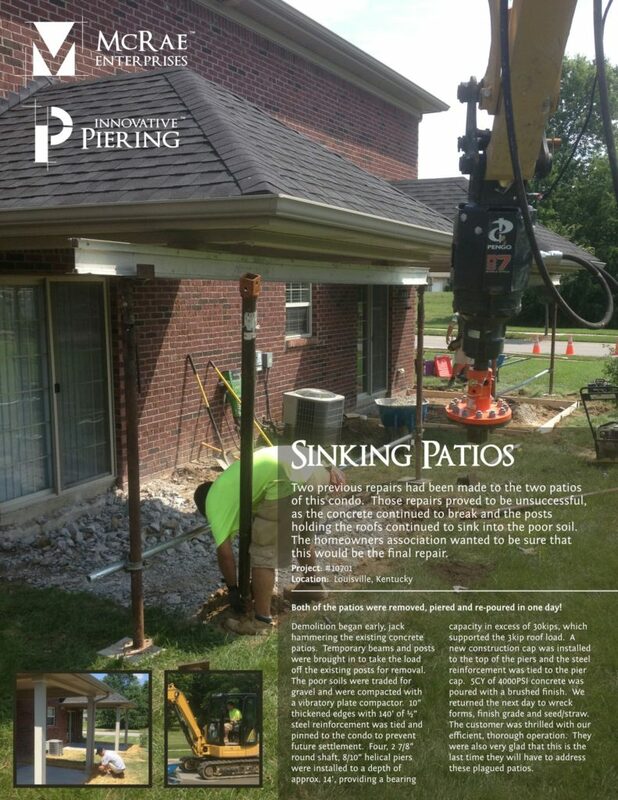 "The homeowners association wanted to be sure that this would be the final repair." 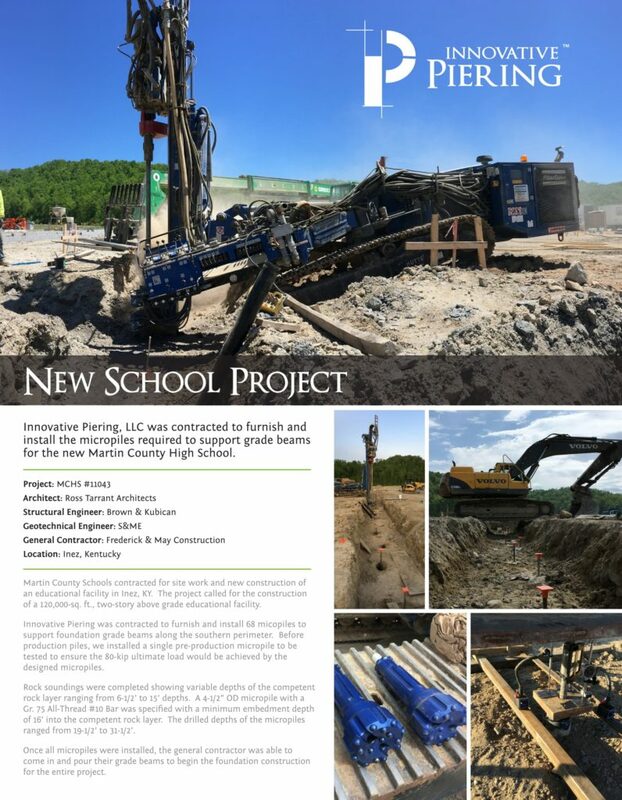 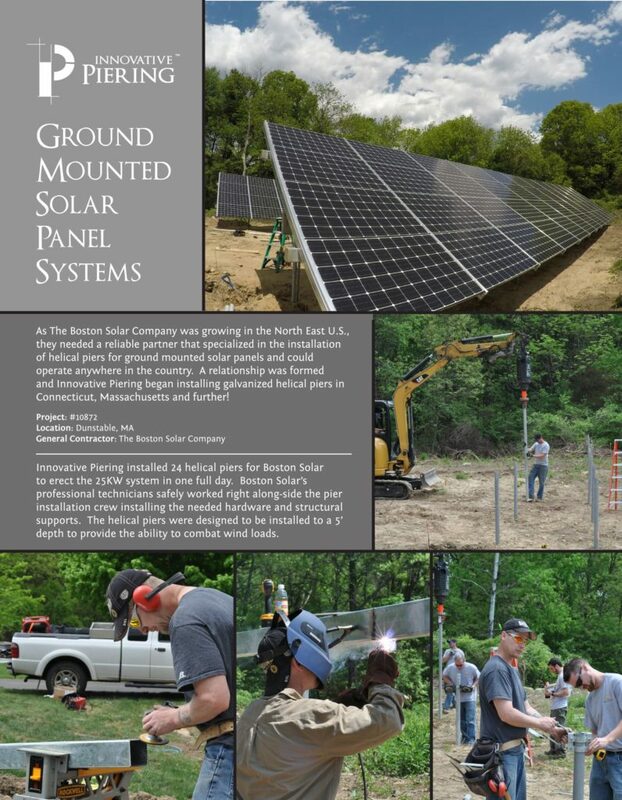 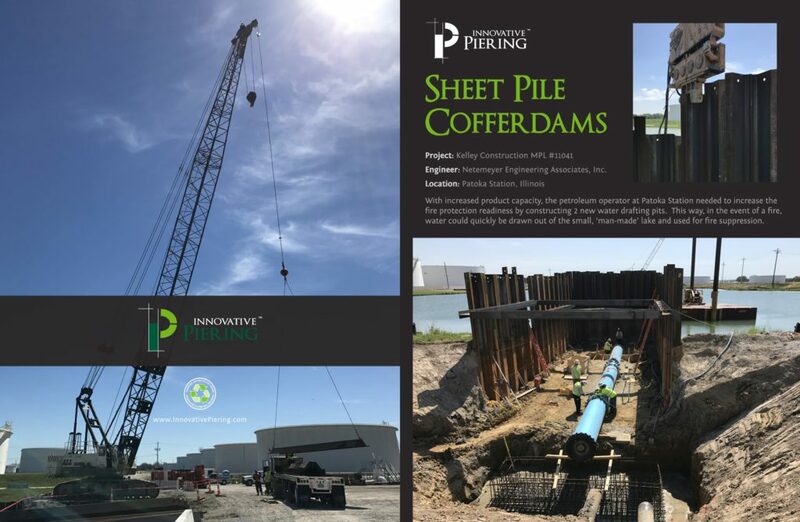 "The Innovative Piering pile driving crew installed approciamtely 30 - 40 piles per day..."
"...needed a reliable partner that specialized in the installation of helical piers for ground mounted solar panels..."
"...included underpinning, tie-backs and a shot-crete retaining wall." 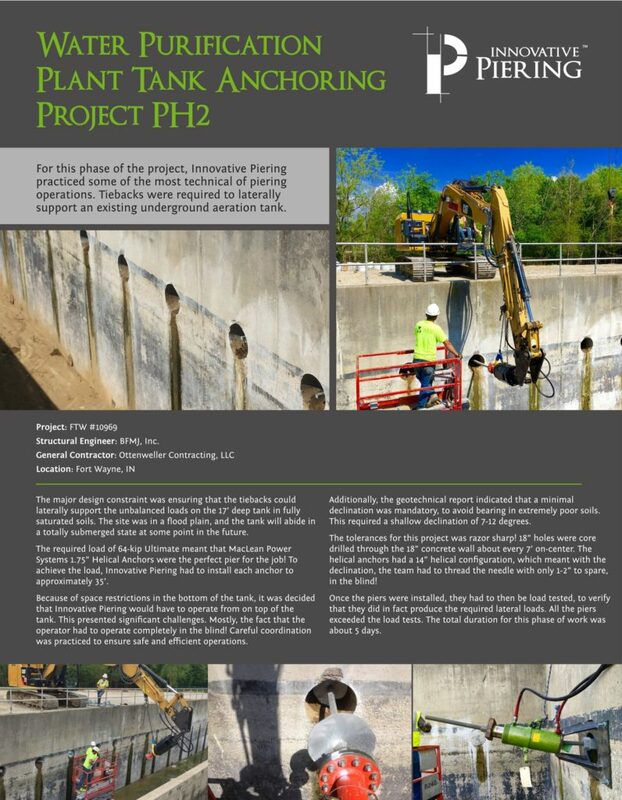 "Helical anchors, installed by Innovative Piering, were used to combat buoyancy uplift for an underground tank..."
"The boardwalks would provide approximately 435 linear feet of elevated walkways." 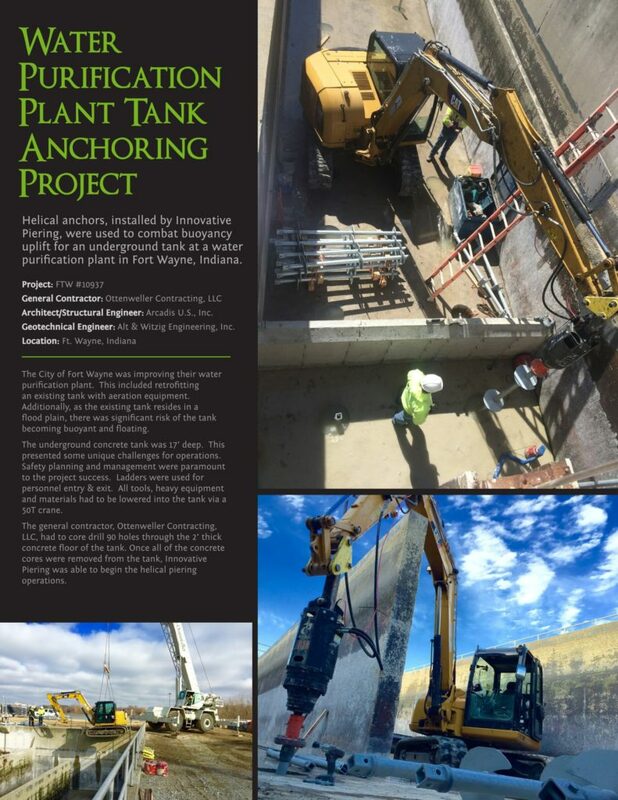 "Tie-backs were required to laterally support an existing underground aeration tank." 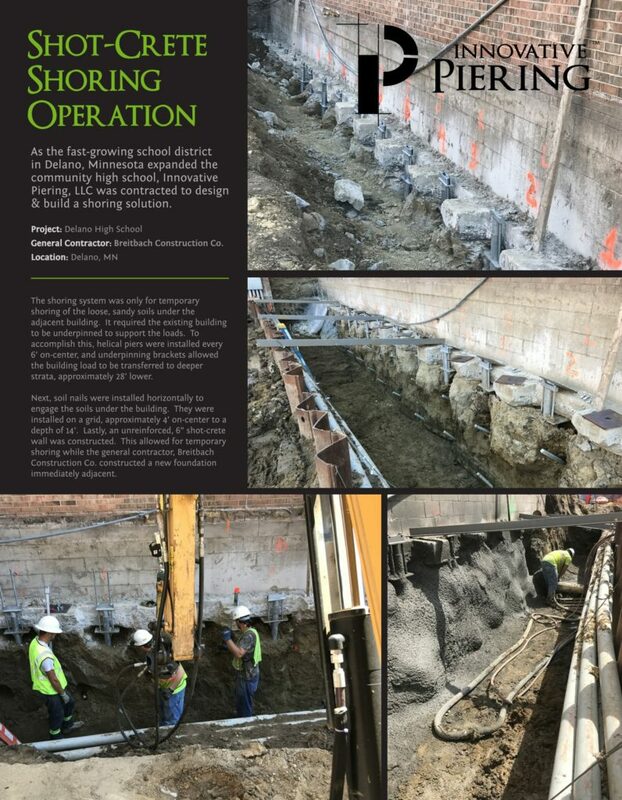 "Lateral support of the exterior foundation walls required 2 methods of anchoring: helical tiebacks and grouted rock anchors." 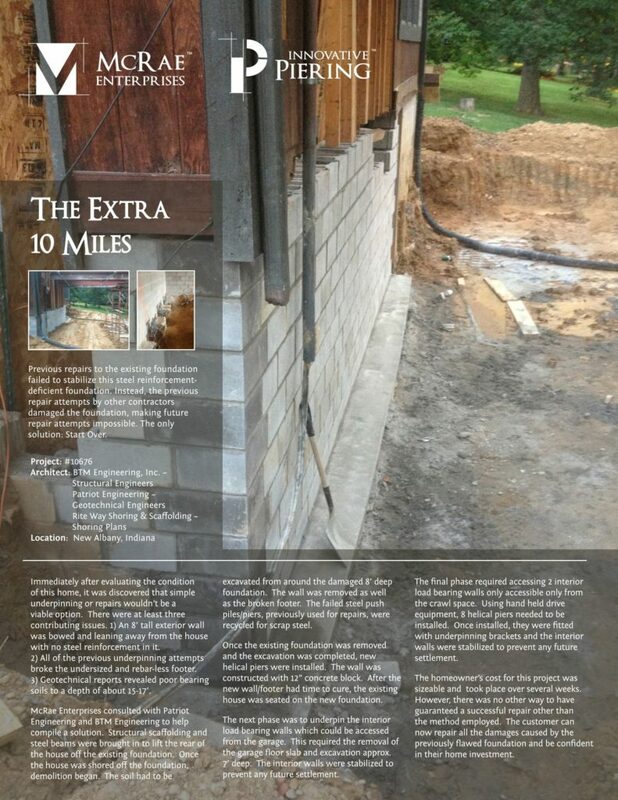 Reach out to a qualified estimator or sales engineer today to get started!